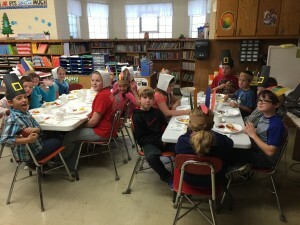 The 4th and 5th graders of SHAS celebrated the first Thanksgiving with a meal of foods the Pilgrims and Native Americans shared in 1621. 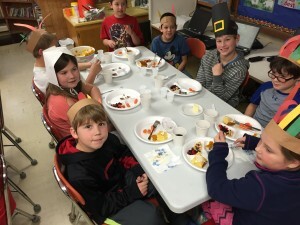 Students in all grades investigated Thanksgivng in some way this week, creating villages and costumes of and/or acting out or reading stories about the people of the first Thanksgiving. It was a great educational and fun three day week. 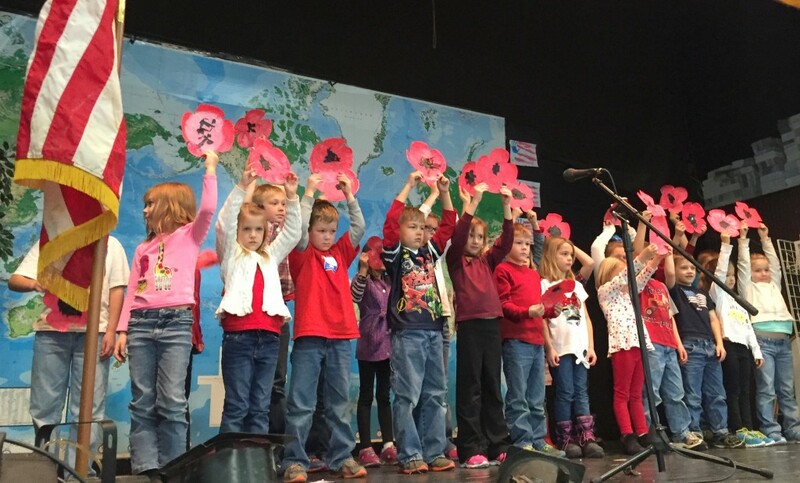 The SHAS Veterans Day Program on Tuesday morning, November 11th, was a huge success, thanks to students, staff and guest speaker Pete Berscheit. 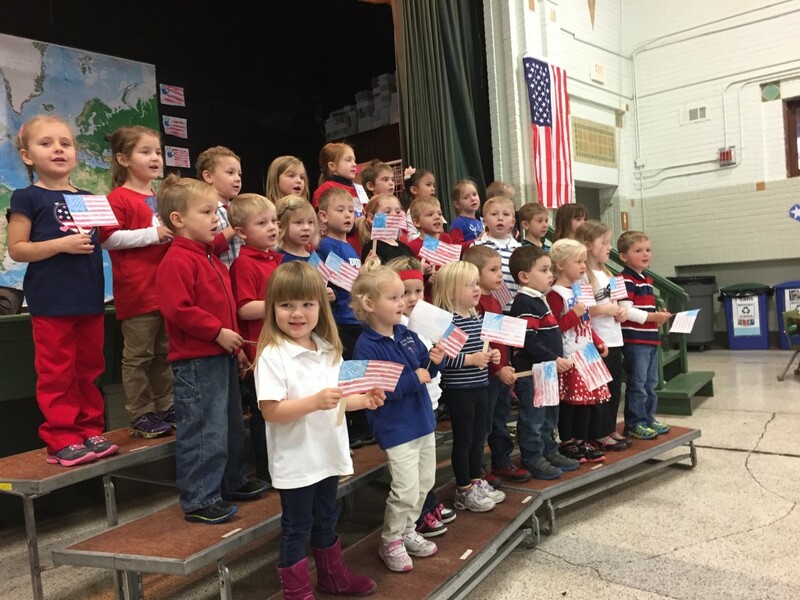 With guidance from staff, students honored our veterans in words, actions, and song. Sgt. 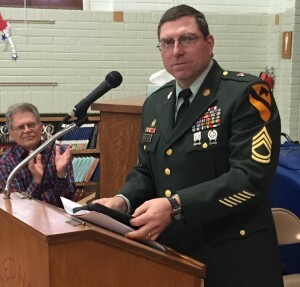 First Class Berscheit from the Todd County Veterans Services shared some of his experiences serving in the US Army. 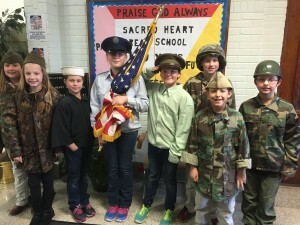 He also shared a wonderful message to us about the values he learned from the Army, such as always doing the best you can do, making good choices, and helping others without expecting anything in return. His final thought he shared was that we need to appreciate what we have living in this great country, realizing we have one of, if not the best, way of living in the world. Thank you Pete for this great message to us all! 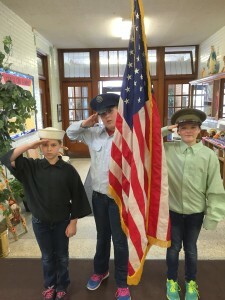 Thank you Veterans !